You’ll be glad to know that this is the last time I will be writing about fairies, however, I could not leave the subject without relating the story of the “Derry fairy.” If you’re ever looking for a fun book, check our Weird New England, by Joseph Citro, which is loaded with weird tales of the supernatural and the just plain strange. Before moving on to the Derry fairy, I have to confess about a story of alien abduction that terrified me as a child. This was especially true, since I once observed a UFO, moving straight up into the sky from Sandy’s Bowling Alley parking lot. In evaluating the story of the Derry fairy, you have to wonder if it was really an alien siting of some kind. 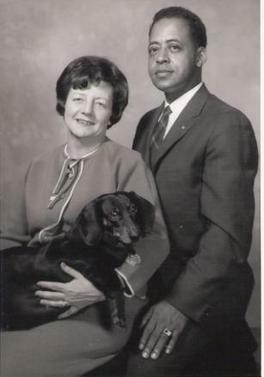 Betty and Barney Hill with their dog Delsey. Betty and Barney Hill were a couple that claimed they were abducted by aliens while travelling in the White Mountains, on September 20, 1961. Their ordeal was recorded in John Fuller’s best selling book, The Interrupted Journey, Two Lost Hours Aboard a Flying Saucer (1965). Theirs was the first widely reported case of alien abduction in the United States. 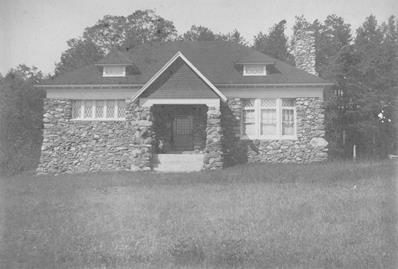 The Hills lived in Portsmouth NH where he worked for the postal service and she was a social worker. The Hills were returning from a vacation in Niagara Falls when they saw a bright light in the sky on Route 3 in Twin Mountain, so they stopped the car to take a closer look and to walk their dog. Betty looking through binoculars saw an odd shaped craft with flashing lights. The Hills returned to the road and as they travelled slowly through Franconia Notch near the Old Man of the Mountain they saw that the craft was moving closer. Then it was hovering 80 to 100 feet over the Hill’s 1957 Chevrolet Bel Air causing Barney to stop the car in the middle of the highway. As they tried to escape, they heard buzzing noises which put them in a altered state of consciousness. 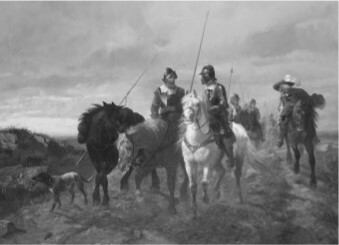 They travelled nearly 30 miles but had no recollection of doing so. They made a sudden unplanned turned and their path was blocked by a fiery orb. They arrived at their home around dawn and started to experience odd impulses and sensations. There were shiny concentric circles on the car’s trunk that gave off magnetic pulses. Betty began to have vivid dreams of the encounter where the details of the abduction became known. They also described that they had experienced missing time. Under hypnosis, they remembered the encounter and how they were brought aboard the craft and physically examined by the aliens. 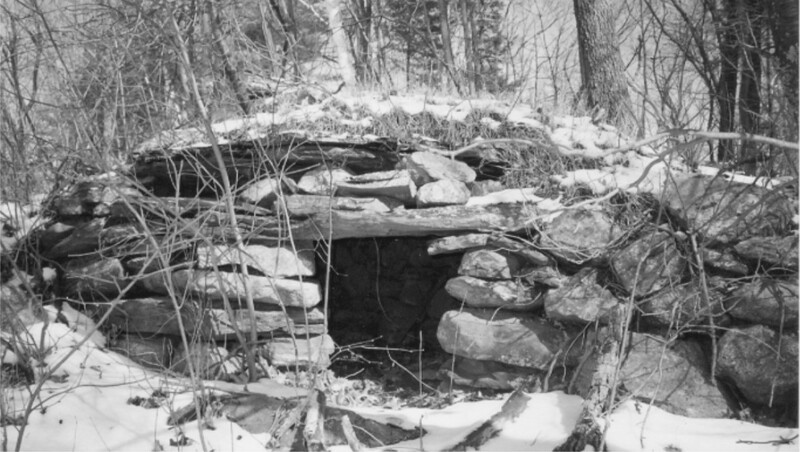 This is what we know about the Derry fairy, according to Joseph Citro: “Perhaps the crowned king of ugliness was a bewildering little gargoyle spotted in Derry, New Hampshire on December 15, 1956. A man was harvesting Christmas trees in the woods when suddenly he looked up and saw something looking back at him silently. Whatever it was stood about two feet tall, and seemed neither human nor animal. Its green skin was wrinkled and looked like the folds of elephant hide. The high dome of his head supported floppy ears comparable to those of a bloodhound. Tiny holes bred into the skull where the nose should be, and its eyes were covered with what appeared to be a protective film. Its arms and legs were short, ending with stump hands and toeless feet” The witness was “Alfred Horne who lived on Berry Road in Derry in the 1940’s and 1950’s. He says he watched the miniature mystery for a good twenty minutes. Then, realizing no one would believe his odd tale, he decided to capture it as proof. When he lunged at the creature, it let out a terrifying screeching that the witness, rather than the beast, ran away in fear.” If you would like to learn more about the Derry fairy, you can watch the 30 minute video produced by GreyStar Paranormal Institute. It features the Derry historian Richard Holmes, as well as, a paranormal investigation in the woods. So do you think Mr. Horne fabricated the story? Well, in 1981, a creature, almost identical to the one described by Alfred Horne, was spotted by five boys in Arnold Pennsylvania. One of the boys named Chris tried to capture it but it escaped. There was a full police investigation and all of the boys stories and descriptions matched exactly. 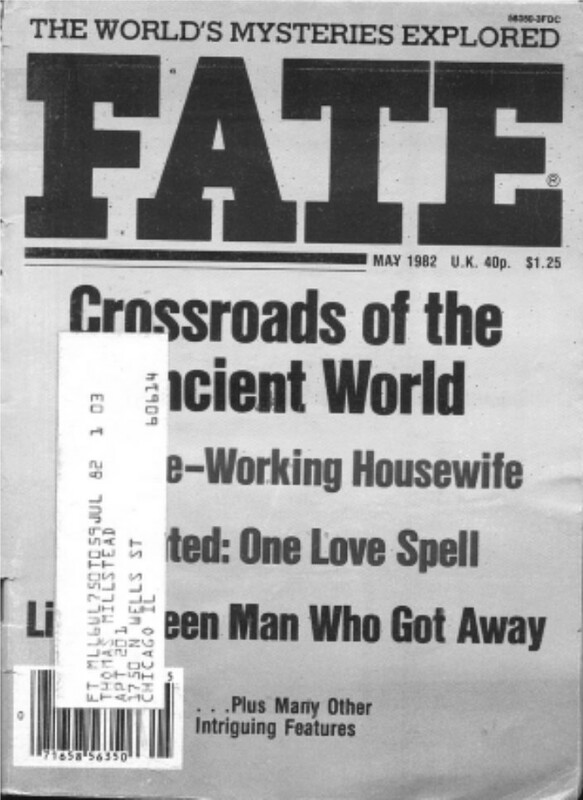 Fate Magazine, published a story about the incident in May of 1982. It was entitled The Little Green Man Who Got Away. Maura Dionne’s horseshoe found in her yard in Windham. So, for all of you folks who think that all of this business about fairies and other supernatural occurrences is nonsense and superstition, listen up. I had a nice note from Maura Dionne who lives near Haskell Pond, right here in Windham. She was in her yard planting spring bulbs. As she turned the soil and dug the holes her shovel hit something metallic, so she continued to dig it up. To her surprise, she found a horseshoe buried there. While that doesn’t rise to the level of a supernatural occurrence, what happened next does. After she finished planting her bulbs, she went to collect her mail. Maura is not a regular subscriber to the Windham News, she normally reads it in the library. That very day she received a complimentary copy in the mail. 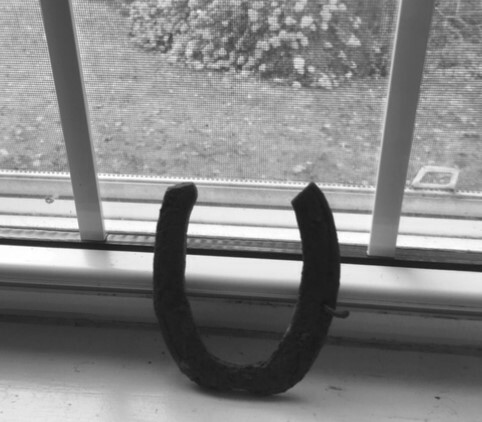 She relates that, “as I walked to my mailbox intrigued by my find – I coincidently opened up the Windham Independent to your article.” It was the very issue in which my column discussed the tradition of lucky horseshoes. The physicists tell us that most of the entire universe that surrounds us is empty space, and that there are multiple universes on which we can possibly travel. If that is true, the visualization of a lucky horse shoe, sent out into the multiverses, could certainly materialize, in a yard in Windham! Just a coincidence or the luck of the Irish? A Fairy Thorn tree along a hedge-row in Northern Ireland. A Fairy Thorn tree in Ballymoney led a local woman to write a book about fairies? That’s interesting! 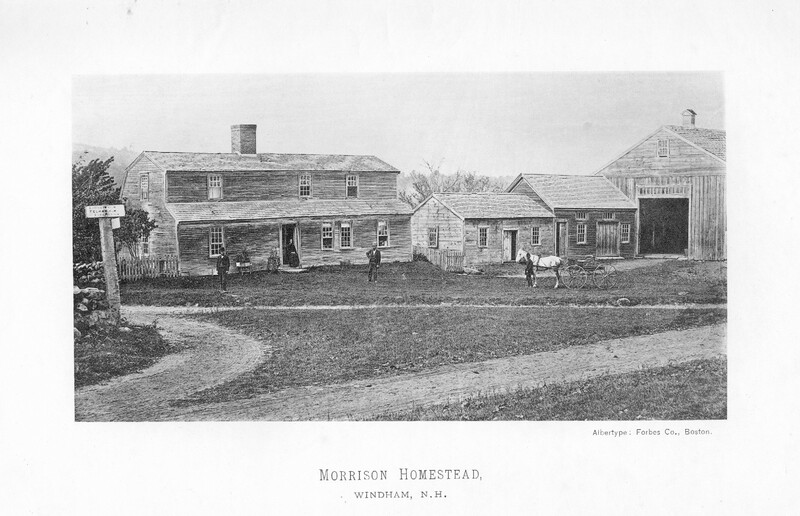 The Dinsmores, lived in Ballymoney and most of the Scotch-Irish, who migrated to America in 1718 lived thereabouts. Did the legend of Tseinetto the fairy originate with the Scotch-Irish in Derry? 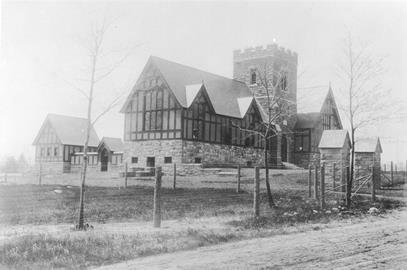 The BBC program Fairy Faith salvaged the oral testimony of fairy belief surviving in Northern Ireland in the late 1940s and early 1950s. The program’s producer, Sam Hanna Bell, and folklorist, Michael J Murphy, recorded local people recalling their stories of fairy belief. 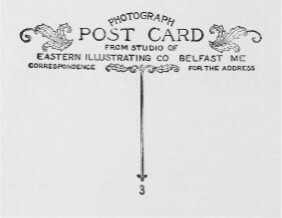 Murphy was the ethnographer who searched for first person testimonials across Northern Ireland and then Bell recorded these afterwards without interfering with scripting and re-recording the participants’ stories. 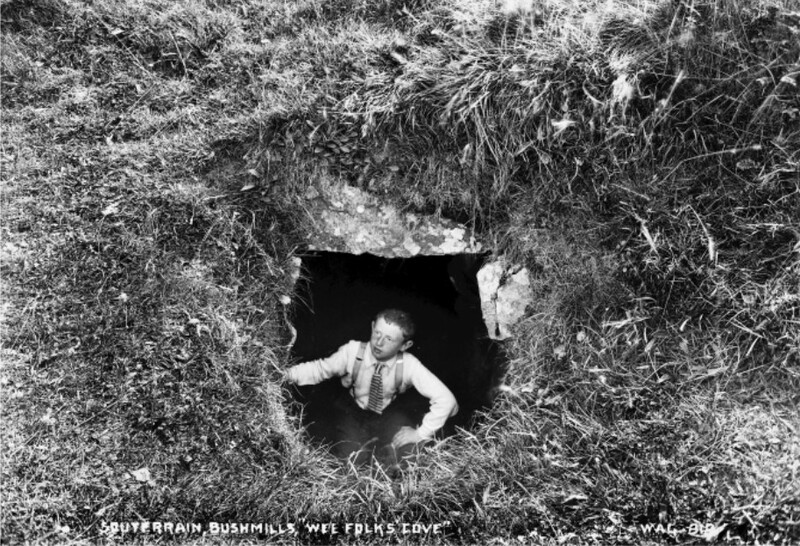 They drew inspiration from the rural areas tracing folk stories and folklife.” So if the BBC felt it important to record for posterity, the fairy beliefs of Northern Ireland, there must have been very heart felt belief or folk memory among the residents there. 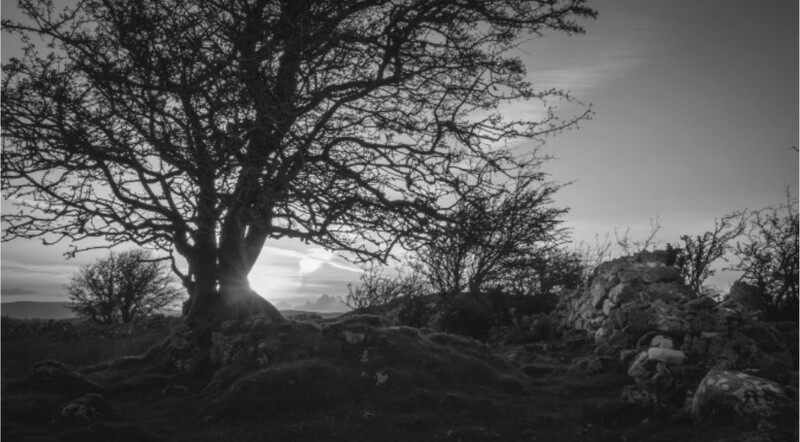 In a 2015 story, the BBC reported on the fairy tree in Annacloy, Northern Ireland. “When civil engineers removed a thorn tree blocking a new road between Downpatrick and Ballynahinch, it caused consternation among the residents of Annacloy who believed it to be the home of fairies. 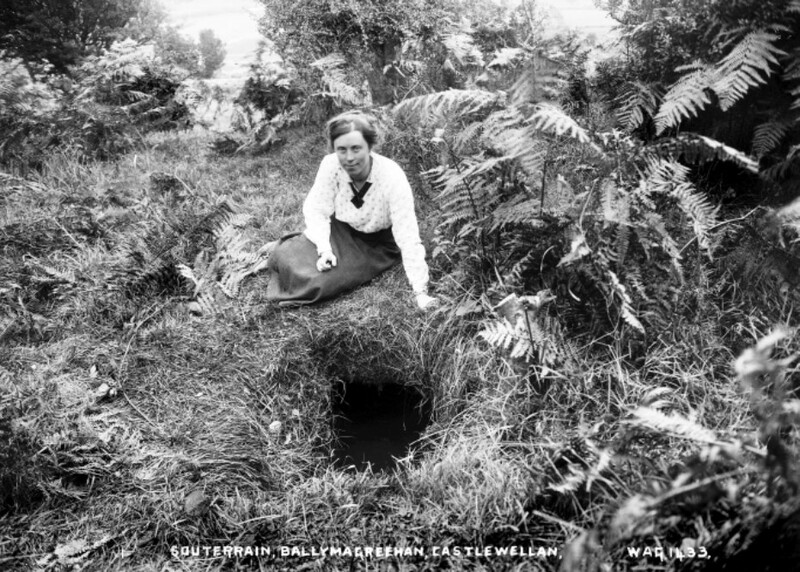 In our archive report from 1964, locals talk about the fate that will befall those who have disrespected fairy traditions.” You can find the link to this BBC interview from 1964 on my blog. 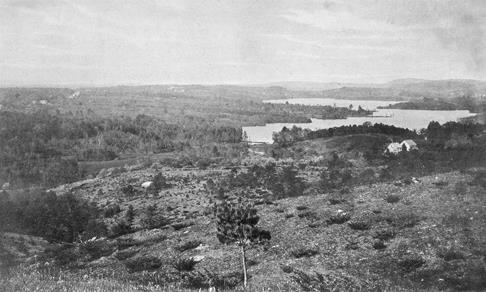 The fairy version of the story of Tsienneto, raises the question of where this legend, and other legends of New England fairies began. 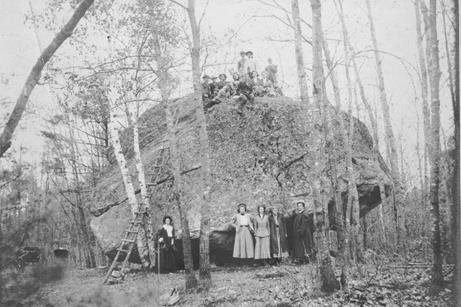 The legend of the fairy “Neto” has two possible origins; the Native Americans and the Scotch-Irish who both have long held traditions about the wee people that inhabit the wood. Perhaps, the story of “Neto” combines both Native American and Northern Irish traditions. Frances Jenkins Olcott is a well known children’s author who adapted many Native American legends into a children’s book called, The Red Indian Fairy Book. It was first published in 1917. How The Fairies Came, is a short children’s story, based on and old Algonquin legend “Osseo, the Son of the Evening Star” which was published in the book, The Indian Fairy Book, From the Original Legends, written by Cornelius Mathews and published in 1889. “ As for Osseo’s bride, she grew more lovely than ever, so that she shone like a star. Her garments were shimmering green, and in her hair was a silver feather. 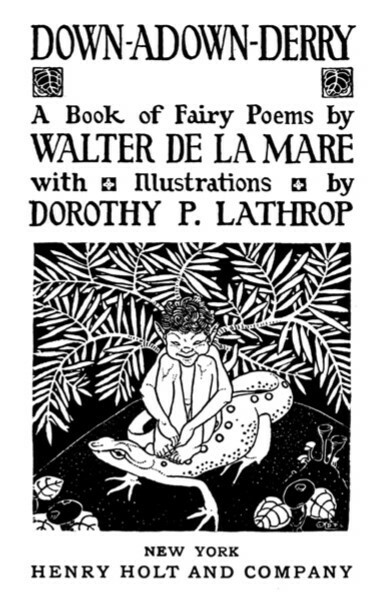 Olcott’s book contains other tales about fairies based on Native American legends. There is a story about the Native American hero, Glooskap and The Summer Fairies, and Leelinau the Fairy Girl. 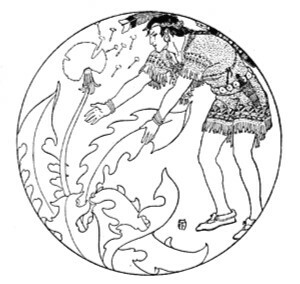 Osseo, Son of the Evening Star, was published in The Indian Fairy Book, From the Original Legends, by author Cornelius Mathews, first published in 1889. It is still available in reprint from Amazon and other sources.